If you have leftover straws from a party, you can make necklaces with them, which is also a great fine motor activity for preschoolers. The original idea can be found at Real Simple. All you need are a few paper or plastic straws and twine or string. 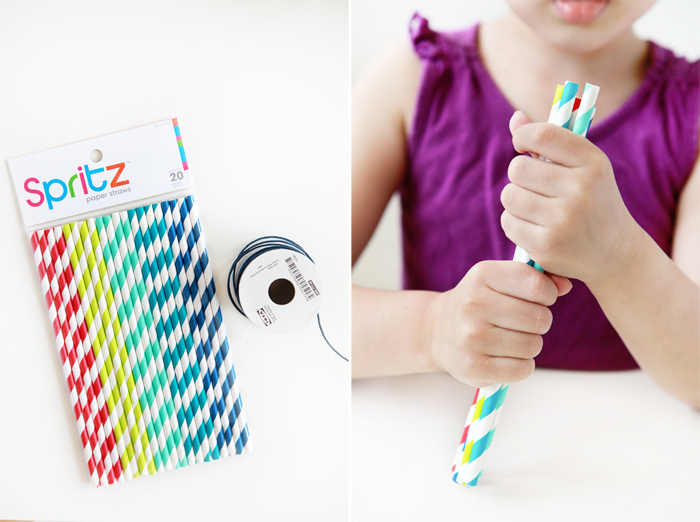 Cut up the straws into little pieces and string them onto your twine to make a necklace or bracelet. 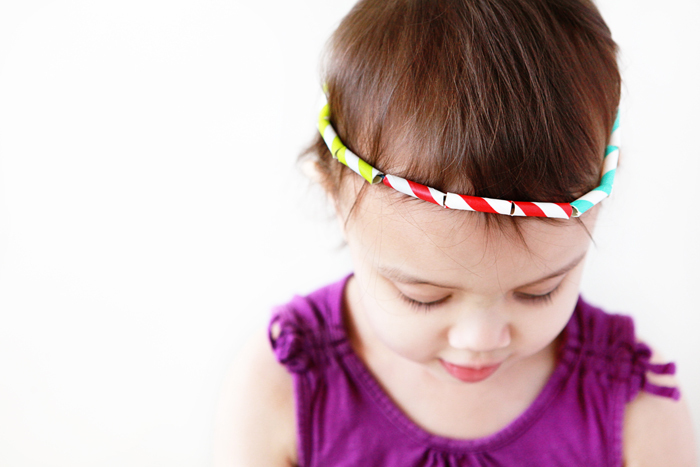 My daughter Avery had fun choosing different colors for her necklace that ended up being a wreath for her hair. You can also use the straw bits to practice letter formation and talk about letter names and sounds. This post was originally published in my summer series for Mom*tog.